Warning: This book may contain nuts. No cakes were harmed in the production of this book. Well, that might actually be a big fat lie as the reader actually chases crumbs around space! Nevertheless, what an enticing start to a great sugary fantasy. 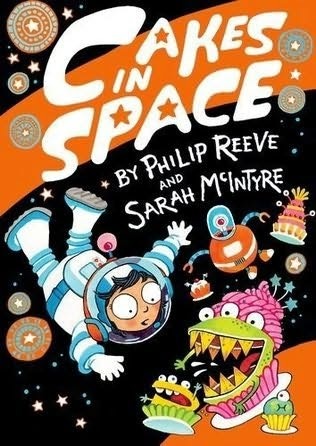 This is the second collaborative venture by the talented duo Philip Reeve and Sarah McIntyre - the creative wordsmith is Philip and the imaginative illustrator is Sarah. Although, the word on Nova Mundi is that a bunch of crazy aliens have taken both Philip and Sarah over, so perhaps we don't really know who has done what or even who is in charge of the words and the illustrations. This is the best exploration into space that I've undertaken for some time. It left me shaking in my armchair with the wobblies. This book is pure genius - it will lift your spirits up to the moon and back again . . . . . and then some more. The story is highly original and totally wacky; I loved every second that I spent reading this. The gravitational force behind this is pure fun, fun, fun. This book is packed full of amazing illustrations which definitely enhance the plot. The mixture of free flowing pencil sketches alongside the bold colourful illustrations create intergalactic ambience. The subdued next to explosive colour is exciting for the reader to engage with and, in my opinion, is well thought out and executed. This is a great family read that can be shared together out loud or independently. The main character, Astra, is the only person left that hasn't been frozen in time. Faced with a galactic space adventure fighting sweet tooth monsters, escaping an invasion of alien Poglites and encountering a Nameless Horror, Astra has a lot to contend with. Is this too much for her to cope with alone or will the ship's robots come to her rescue? Don't hesitate to grab a copy to read as you will definitely not look at another cake in the same way. Chocs away!!!! 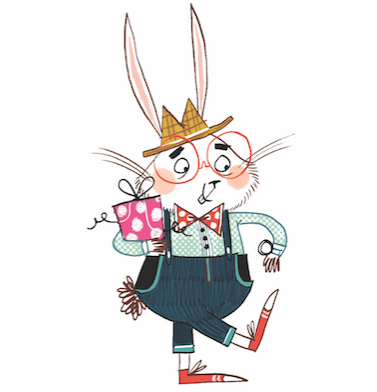 BEWARE - THE BATTENBERG! - FEAR THE FAIRY CAKE! - SHUN THE CHOUX BUN! Synopsis: Astra's family are all snoring in their sleeping pods aboard their spaceship, but Astra is WIDE AWAKE. With her robot friend, Pilbeam, she goes off exploring and soon finds out the ship is in deep trouble. It's been knocked off course and invaded by a gang of Poglites, an alien salvage crew searching for spoonage (they just LOVE collecting spoons)! But even the Poglites need Astra's help when they discover something far more sinister lurking in the canteen. Sure, they're cakes; but no one would describe them as sweet.